If you are into making cocktails at home, you have probably tried and mastered some of the classics-the Margarita, the Martini, the Manhattan. But if you’ve stretched your mixology skills beyond that, you’ve, no doubt, played around with various mixers to add depth and flavor to your cocktail creations. Luckily, there is now an amazing variety of fruit and spice-infused syrups, bitters and shrubs that can be found at any good liquor store or specialty food shop. What is a shrub, you say? Am I referring to a leafy bush? No. 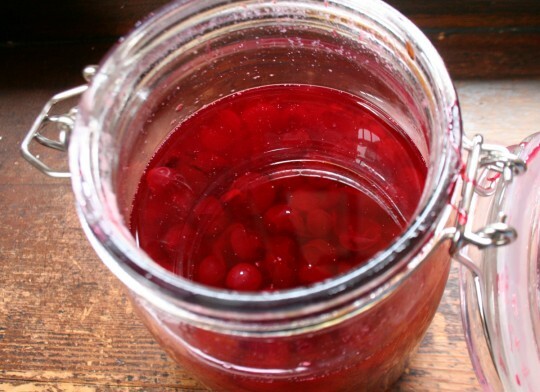 A shrub is a fruit-infused vinegar syrup. You may think adding vinegar to any drink would be odd, but the complex, fruity acidity of a shrub syrup adds a brightness and depth that is surprising and very pleasing. I recently bought a share of a beef cow with some friends. We split a half a steer between the five of us. My friend Casie had tracked down a farmer who could sell us meat that was organic, grass-fed and humanely-slaughtered. After dividing the share between five families, I took home a freezer full of meat. Given the option to pick whatever odd cuts of meat that we wanted, I asked for the large leg bones for soup and marrow and ended up with three 9-pound bags of assorted soup bones. I was the only one that wanted them, for some reason. What to do with this treasure? The only thing to do was to try making beef stock from bones at home. 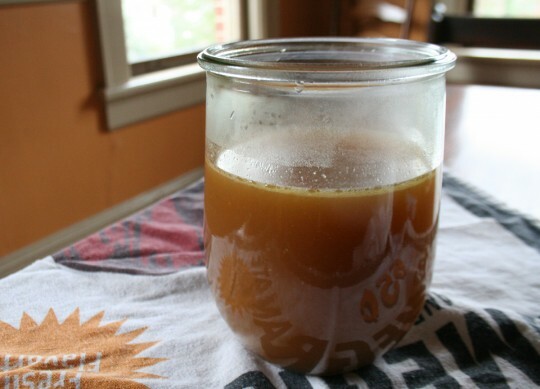 Beef stock made from bones is so nutrient-rich and satisfying, that it has been used as medicine for centuries. Filled with bio-available protein, calcium, amino acids and niacin, there is a reason why doctors (and your mother) prescribe a bowl of broth when you are sick. 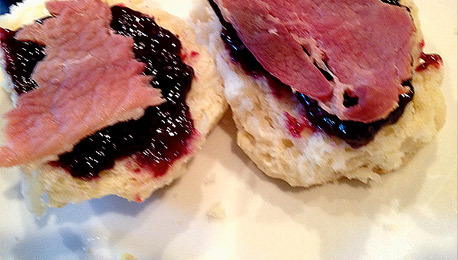 When it is made at home, it is naturally low-sodium and low-calorie. The bones give the stock lots of collagen, which is essential to our bone and joint health. 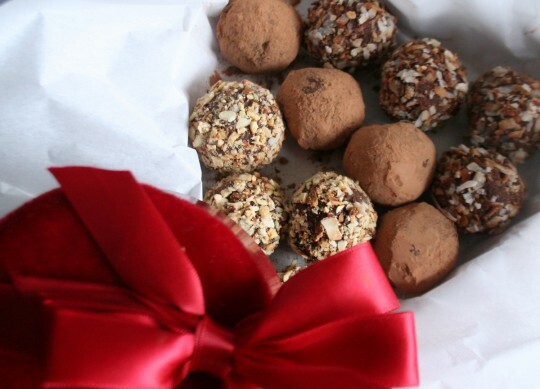 Because it is made from bones, it is relatively inexpensive (and frugal) to make. Making beef stock from bones is certainly easy and the result is a basic building-block for sauces, soups, rices and stews. Thanksgiving is in a couple of weeks and I’m already starting to plan for the annual feast. If your family is like ours, then the Thanksgiving holiday is a time when you put aside new recipes and return to traditional food favorites and guilty pleasures. Even though I love the turkey and the sides, the dessert is what I most look forward to. 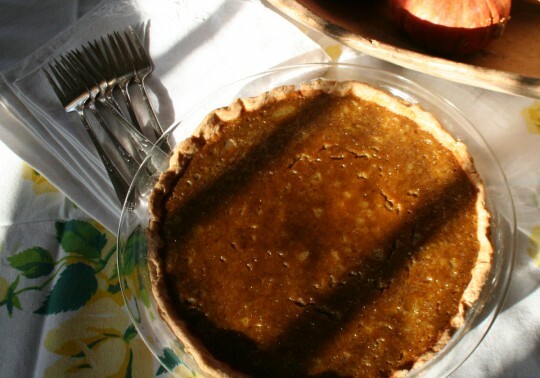 Pecan and Pumpkin pies are always a part of our holiday meals. Here is step-by-step recipe to make your pumpkin pie from scratch, starting with roasting your pumpkin and finishing with a whole wheat crust. Since all my food thoughts have been taken over by Italian cuisine last August, I have worked to incorporate more easy Italian classics into my weekly cooking routine. I’ve been wanting to really master making homemade pasta, but with past failures, I’ve been a little gun shy of it now. But one thing I have been successful with in the past is homemade potato gnocchi. It is a kind of pasta, using grated cooked potato, egg and flour. It’s earthy and delicious. I’ll call it my “starter” pasta. 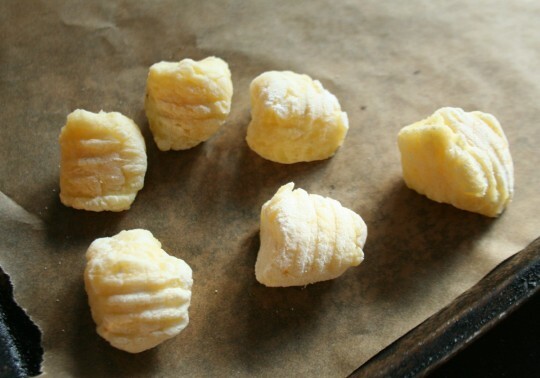 Gnocchi is Italian for “little lumps”, which describes it perfectly. Gnocchi are light little lumps of potato goodness. When they are done correctly, they should be as “soft as clouds”. 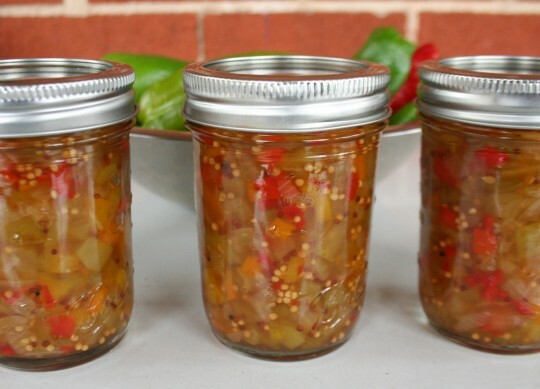 They are pressed with grooves to hold onto a sauce, making them pair perfectly with a basic homemade tomato sauce. In Italy, late afternoon is the time for apertivo, a kind of happy hour with cocktails and snacks. Apertivo cocktails can be as simple as a beer or a glass of wine, or a traditional aperitif, such as Campari or Aperol Spritz. As for the snacks, they can be almost like a small meal. When we were in Fano, Italy recently, our apertivo came with olives, roasted peppers, tomatoes and mozzerella cheese, nuts, focaccia and pickled eggplant – a huge spread! I’ve had plenty of marinated or roasted eggplant before, but this was a tangy, raw eggplant pickle. 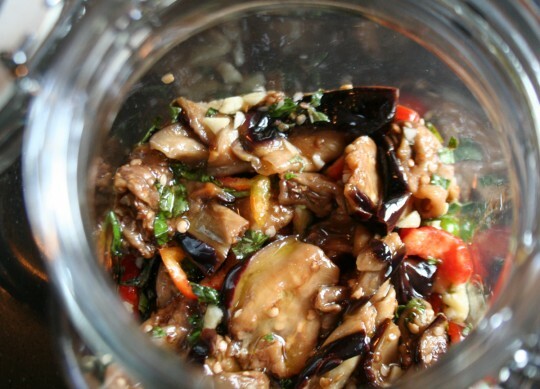 When I came home, I knew that I had to try to make pickled eggplant myself. 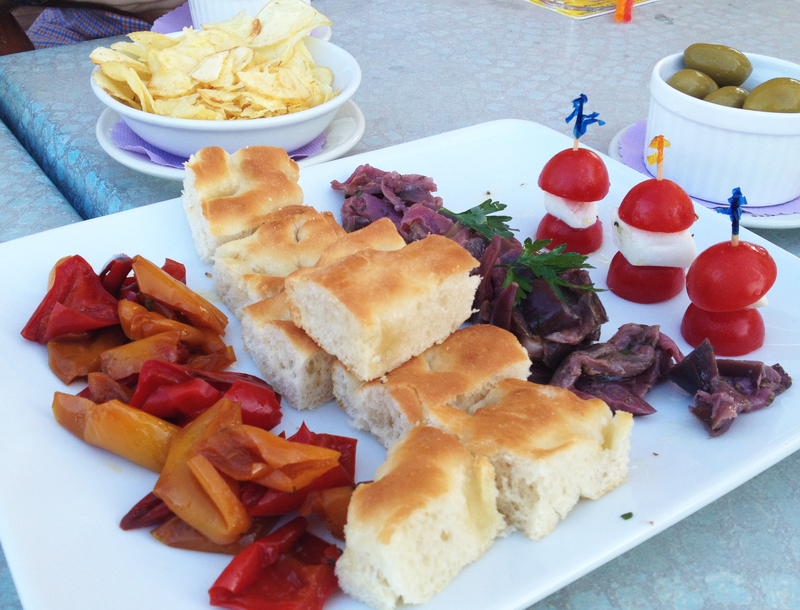 Apertivo nibbles – roasted peppers, focaccia, pickled eggplant, tomatoes and mozzarella, olives and chips. In the cooler months, it’s traditional for those who imbibe to switch to the “brown liquors” – bourbon, whiskey, rye. I don’t want to mess with tradition, so I’ve put away the gin until the warm days return in March. 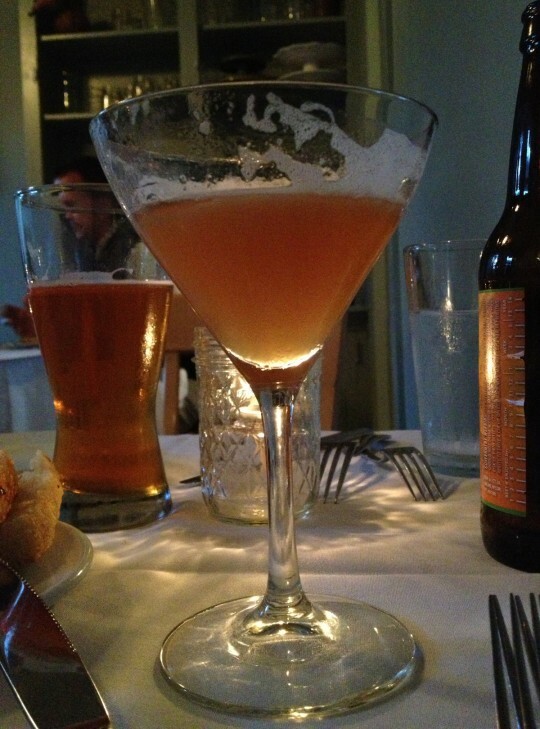 In the meantime, instead of just sipping whiskey, I want to build my repertoire of good whiskey cocktails. One that I found last year was the Lion’s Tail cocktail. It is a spicy combination of rye or bourbon, lime juice, syrup, bitters and Pimento Dram. The Lion’s Tail became last year’s biggest holiday party hit. It’s almost October and the cool weather has started settling in, even here in the muggy South. There is something about the cooler temperatures that sends me back into the kitchen to make food. 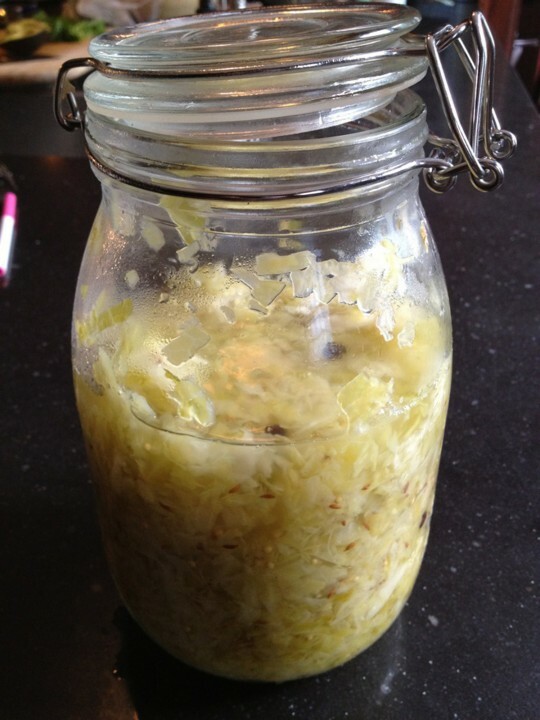 And one of those foods that is traditionally made this time of year is homemade sauerkraut. 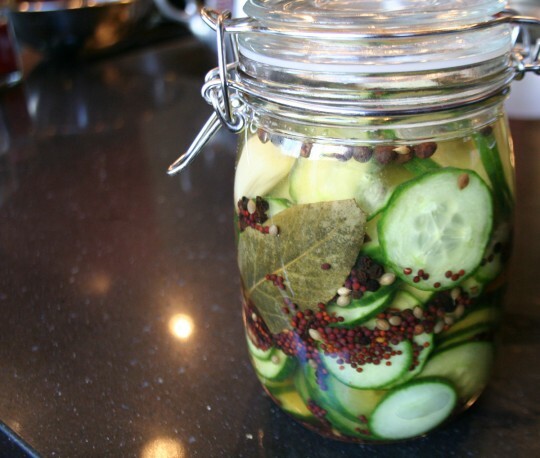 There are plenty of fresh cabbages coming out of the farmer’s markets and the cooler weather is the perfect temperature for fermenting.